LAS VEGAS – World Boxing Association (“WBA”) and International Boxing Association (“IBA”) light heavyweight champion Beibut Shumenov and Hall of Fame promoter Don Chargin have joined forces to promote Friday night’s “Fire& Fury” championship boxing card South Point Hotel Casino in Las Vegas, Nevada. “Fire& Fury” is promoted by KZ Event Productions (Shumenov and his brother, Chingis, own and operate the Las Vegas-based KZ Event Productions) in association with Golden Boy Promotions, Don Chargin Productions, Guilty Boxing and South Point Hotel Casino and is sponsored by Cerveza Tecate and AT&T. Doors open at 5:30 PM PT, the first bout at 6:00 PM PT and the TeleFutura broadcast begins at 11:30 PM ET / PT (10:30 PM CT). Tickets, starting at $25, are available for purchase at South Point’s box office, online at www.SouthPointEventsCenter.com/tickets.php, or by calling 1.702.797.8055. 2004 Kazakhstan Olympian Shumenov (11-1, 7 KOs), who lives and fights out of Las Vegas, set a light heavyweight record for capturing a world title in the fewest career fights, 10, when (Jan. 10, 2010) he won a 12-round decision against Gabriel Campillo in Las Vegas. He has successfully defended his belts versus No. 1 mandatory challenger and previously undefeated Viacheslav Uzelkov (UDEC12), and three-time world champion William Joppy (KO6). In only 11 pro fights, Beibut has defeated four world champions (Campillo, Joppy, Byron Mitchell and Montell Griffin), as well as two world title challengers (Uzelkov and Epifanio Mendoza). 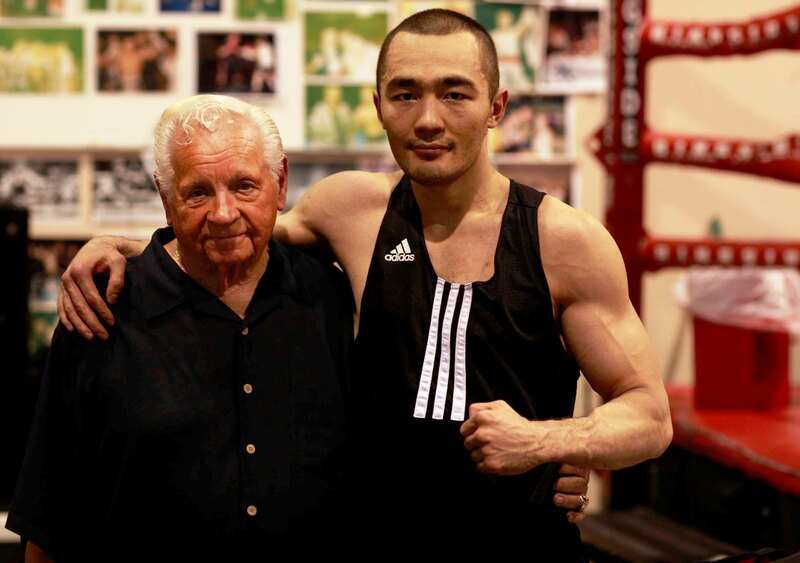 Because being a promoter and fighter can potentially distract from training, Beibut is teaming with living legend Chargin, who is 56 years older than the 27-year-old Shumenov. 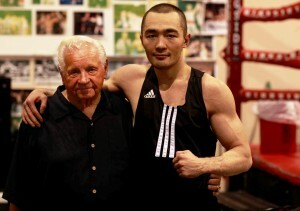 “Don is an honest, trustworthy person who just happens to be a Hall of Fame promoter,” Shumenov said. “He has years of invaluable experience and an abundance of boxing knowledge. He really knows the ins and outs of the boxing business, in addition to having a keen eye for talented boxers, as well as knowing how to make interesting, competitive and entertaining match-ups. On top of all that, Don is an honorable man who works very hard. I’ve already learned a lot from working with him but more importantly, I feel privileged to call him my friend. Working with Shumenov has given Chargin a boost. “Beibut is one of the most intriguing people I’ve ever met,” Don remarked. “To accomplish what he has in only 12 fights and winning a world title is almost unheard of. I talk to him all of the time about doing a major title defense, something special, in Kazakhstan. It’s something I really want to do and I know the people over there want to, too. An exciting co-feature pits popular Las Vegas super featherweight “Lightning” Lonnie Smith (13-2-2, 9 KOs) versus Eduardo “ Lalo” Arcos (16-4-1, 13 KOs), is also scheduled to air on TeleFutura’s “Sólo Boxeo Tecate” broadcast. Two other champion KZ Event Productions fighters, unbeatens WBA FEDALATIN Welterweight Champion Ravshan Hudaynazarov and WBA International Light Heavyweight titlistGayrat Ahmedov, will also be in action. WBA # 9 rated Hudaynazarov (14-0, 12 KOs) defends his title against former USNBC titlist Hector “The Hurricane” Munoz (19-5-1, 12 KOs) in a 10-round belt, while WBA #2 Ahmedov (16-0-1, 12 KOs) takes on veteran Billy Bailey (11-11, 4 KOs) in an eight-round match. Las Vegas fan favorite Ramon Montano(17-9-2, 2 KOs) faces lightweight Juan Suazo (7-4-3, 5 KOs) in a six-round match. Also on the card is Freddie Roach-trained, unbeaten super featherweight prospect Joel Diaz (4-0, 3 KOs) against Esteban“Junglehead” Nichol (3-1, 3 KOs), as well as undefeated Russian cruiserweight Medzhid Bektemirov (5-0, 5 KOs) versus Chad Davis (3-8), in four-round bouts. All fights and fighters are subject to change. For additional information about “Fire & Fury,”Shumenov or any of KZ Event Productions’ fighters, visit www.KZEventProductions.com.For more information on Golden Boy Promotions, visit www.goldenboypromotions.com, follow us on Twitter at www.twitter.com/GoldenBoyBoxingor visit us on Facebook at www.facebook.com/GoldenBoyBoxing.